The latest edition of Lowe's Creative Ideas Magazine found its way into my mailbox last week. Of course it's chock full of holiday season goodness! Below are my three favorite DIYs from the issue. Use square dowels to create a wooden star of David. Leave it plain or snazz it up with fabric or wrap it in yarn! Using peel and stick shelf liner create an optical Christmas tree on your steps! If we didn't have carpeting on our stairs I would totally be doing this. It's magical! Ceiling medallions and PVC endcaps create sweet cake stands. Simple and sweet! 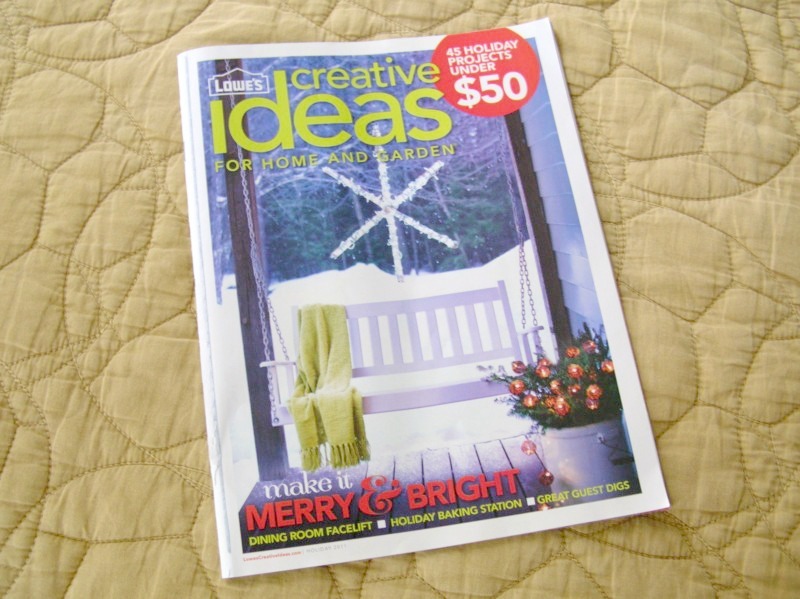 If you'd like to have Lowe's Creative Ideas magazine delivered to your mailbox, sign up here. It's FREE!